I get SO many emails from folks who ask me whether it's too late to start their own Internet or affiliate marketing business. There's also a large number who go on to mention that they are in their 50's, 60's or 70's and who ask whether they are too old to be taking on the task. BTW, my mom is now 98 and in her 80's she learned how to use a computer to use email to communicate with our family abroad and read her favorite online newspapers. With a little bit of help from me and a “for dummies” book she actually had more knowledge of some computer terms than I did. Ergo, it is NEVER too late and you are NEVER too old! Comments, questions or suggestions? Please leave a comment below. Harland Sanders started Kentucky Fried Chicken in earnest at age 66. He had a monthly Social Security check of $105, a car, and faith in his recipe. He would burn his own gas, putting wear and tear on his own car, driving to restaurants to cook his chicken for them, hoping for a handshake agreement of 5 cents for each piece of chicken they sold using his recipe. Many nights, he would sleep in the back of his car. He was reportedly rejected 1,009 times before he heard his first “yes”. He was ridiculed for his idea and for his now-iconic starched white suit and tie. He is my idol. Why not let him be yours, too? Thanks for a fantastic post, Rosalind. This is great. Personally, I’m a big believer in the rocking chair test which is basically asking yourself, someday when I’m old and relaxing in my rocking chair, is this the kind of thing I will regret not having attempted. If yes, then don’t waste any more time. My grandma became a computer wiz, too. Old dogs can learn new tricks! 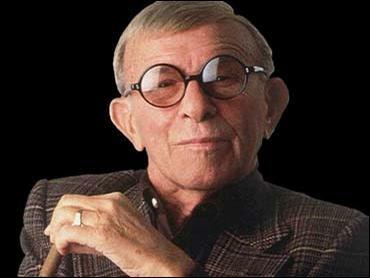 George burns actually made a movie called “18 again’. 18 Again! is a 1988 comedy film starring George Burns and Charlie Schlatter. I saw that movie, it provided loads of chuckles and I was young when I first saw it, looking forward to getting started with this internet marketing bus. asap and at least earning a decent income. Not depending upon CPP will be great to look forward to in my twilght years. I so enjoy reading all the positive comments above about age related income online. It is great motivation for us all. Thanks everyone and Rosalind, this is just what I needed to get started on this new venture. Nice post. Yes, you are never too old for this internet marketing malarkey. A lot of the time I feel like I’m an 18 year old stuck in a 90 year old’s body :-D.
Jack Benny was only 39 for how many years? He was never old. I’m 67plus and many people ask how do I keep going. We manage an apartment building and we have all age groups here. We all help each other with various things. You only get old when you become inactive. Keeping busy helps you to stay young at heart. Mentally and physically. I quite agree with you Rosalind. So inspiring post! There’s a really sad disconnect in this country with older folks and younger folks. Other countries hold their elders in high esteem, we should follow suit. As far as internet marketing, I see no reason someone couldn’t learn the fundamentals and then use their experience/ diligence/ wisdom to scale regardless of age. You have to take everyone individually anyhow. It would be nice if ageism was as unacceptable in our society as racism or sexism. You’re right and you have to wonder why that is… maybe our huge countries and ability to move great distances from family? I know it’s different in Holland where most of my family lives. Oma and Opa contribute such wealth to their grandchildren’s lives. As to blogging as an older person – their blogs tend to be much more interesting by result of experience and sincere interest. I can imagine myself again at 20yrs old making my way across europe with my labrador betsy, laptop in rucksack stopping off for breakfast in a small french village and along comes Rosilind with her labrador, then she asks me what my latest kindle book release is going to be and reality strikes….its called 50 shades of aches and pains and becomes a best seller and inspires the next set of internet pensioners to join a get fit club and meet friends. I’m in my 70s and am building a new website/blog. But since I am planning to live to 121, I’ve got a few years ahead to monetize and refine it. I can’t remember how many businesses I’ve been in…journalism, dentistry, commodity trader, computer pioneer, developer of part of the internet, home builder,sales, etc. It’s been a great ride so far. Can’t wait to see how this next business in So. America turns out. Appreciate the thought provoking video, Rosalind. Really makes you stop and think. I am 53 years old, and still moving forward in creating income from my websites. No real success yet, however “I’m never too old to keep going”. I will keep this in my thoughts as I progress forward. Thank you, for posting this fine video for all to see and be encouraged by. Never Too Late or Too Old caught my eye and it was as though this post was for me. Yup, I’m still here – guess that’s another dragon slain … 65 and counting up…. the aha moment has come and gone, but I haven’t gone away. Inching my way closer, and logged in to Affiliate Blogger Pro yesterday, about to go back in and work through the preliminaries till I have a suitable Blog up and running, then keep going. Then I can work on a website. Then, the sky’s the limit. Too many kids and grandkids to quit now (they’re all doing OK now, but you never know – life happens – and I would like to be in a position to help should they need it. Besides, I want to be able to inspire them for when they get to my age – they are my motivation and you are my inspiration, Ros. My pleasure, Mr. Alexis. I’m glad you enjoyed it. Internet or affiliate marketing is a niche which a lot of people are learning.Increased competition is not good.This makes it harder to rank for keywords and websites in saturated markets. Google is tightening the rules on seo which makes it harder than like 10 years ago. Internet or affiliate marketing has very low barriers to entry .It is very cheap to start in and doesn’t have high set up costs like huge franchise fees etc. One of my best online friends lives in the UK and she has a huge website (save-money-guide) that she built by herself in the last 6 years. I admit that I do help her when she gets stumped but that’s been the exception, not the rule. She’s in her 80’s and still rocking this world! Wow…what a great video Ros. I am thrilled that you have posted it on your blog. At the ripe old age of 62 I know more about the Internet, computers and marketing than my Kids and Grand-Kids. My kids frequently ask me questions about starting a website, HTML, wordpress and other technical questions. To them I am the number one “Internet Guru”. The other day my 10 year old Grand-daughter asked me “Grandpa how come you are on the computer so much”? My answer? So I can help you and your sister become successful in your adult life. Thank YOU for sharing. I think kids are the best motivators to keep learning and doing. Glad to hear that you’re their ‘go-to’ guy. Just what I needed today. Never give up! I agree with both of you. Don’t they always say “hind-sight is the best sight”? Well I think at any given point in time you, what you know if a direct result of your personal experience and the environment in which one lives. Excuses, fear and disbelief are usually what holds’ you back. Thanks Ros, it’s so true, you are never too old to try something new, you just have to muster a little courage and go fourth. I love working through the Affiliate blogger-pro modules; it’s fantastic and daunting at the same time. I’m learning so much and making progress, but am finding that the more I learn, the more apparent it is how much I don’t know and need to keep learning if you know what I mean. I am soaking up so much information like a sponge. I think I am starting to leak a little; maybe age is catching up with me (no!! LOL) maybe I will go watch the video clip again. Thanks Ros you’re an inspiration. ‘starting to leak a little’ are you? Thanks for the chuckle. Judging by your site it looks like you’re going full steam ahead. Keep up the great work! Thanks again for your comments and for visiting my site, your thoughts are appreciated. You’re right – one is never too old – I’m 75 and have two websites to play with! different occupations.. I have been a Salesperson, Bookkeeper, a Secretary. I worked for a Doctor’s Exchange, and also at a Nursing Home, and for Private duty Home Health care, and even in a Warehouse, doing Steel Winding. I sold Avon, and had Yard Sales, and took in Sewing to make more money for my family when the children were growing up. I have been fortunate to learn so many different things. I also, enjoy making Jewelry, and Sewing, and Knitting. and Crocheting, and Gardening. My life has been busy, but it has been interesting. Thanks for sharing and wow! you’ve done a lot! You’re right too – learning and doing is what keeps us young. I’ll be 72 on May 10th. I’ve been banging away at this IM stuff for 3 or 4 years. I’ve never made any serious money, but for some reason I keep at it. The big breakthrough is just around the corner. I can feel it !!! Happy birthday in advance! And as for the breakthrough – if you can ‘feel’ it, you’re probably right. Here’s to your success! I started my online business at 50ish, and by the time I’m 60ish, Lord willing, I will have had more success, made more money, seen more things and had more Freedom than most people who worked a J.O.B.for 40 plus years. Yee-Ha !!! Just turned 60. Read your book 4 years ago. I doubled my pension last year. It’s not getting rich but it is a good income for me. Thank you for sharing and I’m so happy to hear that your site is doing well! Keep up the great work! Doing anything that makes you feel younger is a darned good thing to do. Keep working at it! Thanks Rosalind! This was most encouraging and hopeful. Years later, I am still contemplating giving affiliate marketing another try. The information you share is always appreciated and valuable. Many thanks for the reminder that it is never too late…the difficulty lies in determining the best niche market to venture in…that my Dear Watson is the question? Have a great weekend.